Bodhgaya is both a historical and religious place in the country. It is one of the most famous places in the history of the country. The place is associated with the enlightenment of Lord Buddha about 2600 years ago. The place is not only a pilgrimage centre for Buddhists, but also a must visit place for anyone who love history especially ancient history and culture of the India. The place is at a distance of 17 kms from Gaya and 105 km from Patna in Bihar. Besides visiting beautiful monasteries temples and meditation centres the tourist can also experience the serenity and warmth of the place. The centre of attraction is the Mahabodhi Tree, the exact spot under the tree where Siddhartha becomes Buddha, the enlighten one. The place brings peace of mind and gives a chance to the tourist to take some time from the fast faced life and reconnect with the inner self. The Mahabodhi temple is another main attraction of the place. The temple has 170 ft. Height and basement of 48 square feet. The temple is in the form of a slender pyramid up to the neck when it gets the cylindrical shape. The stone platform on which Siddhartha meditated is known as Vajrasana, which is in the vicinity of the temple. Along with the Bodhgaya the tourists must visit the archaeological museum to get Glimpses of the Hindu and Buddhist artistry. The Bodhgaya multimedia museum provides knowledge about the Buddha. Walk to the serene monasteries of the Bodhgaya such as Tergar and karma Dhargye Chokhorling. The just walking in the local markets helps tourist to get glimpses of the local culture. 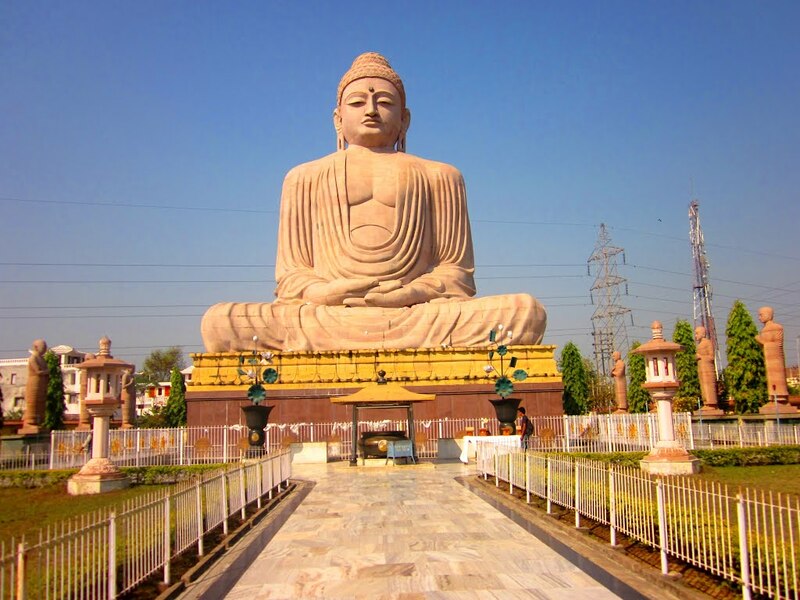 The Bodh Gaya tour package services envision that our representative receives the guests at the airport or railway station and then transfer to the luxury hotel. After a welcome drink and some rest the guests are taken to the local sightseeing to Mahabodhi temple,Thai temple and Bodhi tree.The nearby places are also full of history and culture and one can visit the places, as these are well connected by the road and railway network. The tour plan includes transportation costs, welcome drink, breakfast, dinner and stay in hotels. Clients can contact us for details regarding the tour package.